Lahore, November 21, 2017: To introduce the youth of Punjab to technical & vocational skills education and opportunities, Punjab Skills Development Fund (PSDF) has successfully launched phase one of a Skills Activation Campaign (pilot-run) in collaboration with the School Education Department (SED), with focus on the Higher Secondary Schools. The launch ceremony for the campaign was held at Government Girls Higher Secondary School (GGHSS) Allama Iqbal Town (Umar Block), Lahore. The Minister for Education, Mr. Rana Mashhood Ahmed Khan inaugurated the campaign as the Chief Guest, with a ribbon-cutting ceremony. 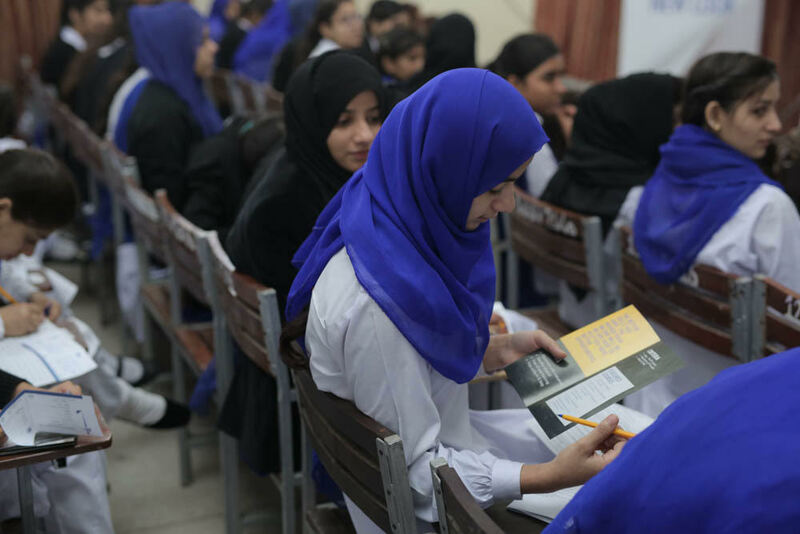 During the pilot phase, this campaign will be launched in five districts of Punjab; including Lahore, Gujranwala, Sargodha, Rawalpindi, and Multan, and will cover 50 higher secondary schools. The objective of the campaign is to introduce the benefits of technical & vocational training and linkages to promising formal and self-employment opportunities at the right time. This campaign for Skills Activation is the first step towards sensitising our youth about the benefits of vocational training. By conducting the same activity in 50 schools across the selected districts of Punjab, PSDF hopes to motivate more students to sign up for technical & vocational education and pursue sustainable income generation opportunities. Through this collaboration, SED and PSDF also hope to contribute to the skills development sector by developing a vocational curriculum and Training Learning Resources (TLRs), introducing soft skills modules and Teachers Training, and sponsor results-oriented research to improve TVET outcomes in schools. Punjab Skills Development Fund (PSDF) is a section 42 not-for- profit company established in 2010 under the Companies Ordinance 1984 by the Government of the Punjab in partnership with the UK’s Department for International Development (DFID, UK). The World Bank is also providing funds to the Punjab Government for the trainings to be funded by PSDF. PSDF aims to provide quality skills and vocational training opportunities to the poor and vulnerable populations of all the 36 districts of Punjab in order to improve livelihood prospects for them. Since its establishment in 2011, PSDF has trained more than 227,000 youth in over 200 trades by engaging 250+ private & public sector training providers. Over the next 5 years, we are on a mission to train over 400,000 youth across Punjab that will be employed in Pakistan and abroad.